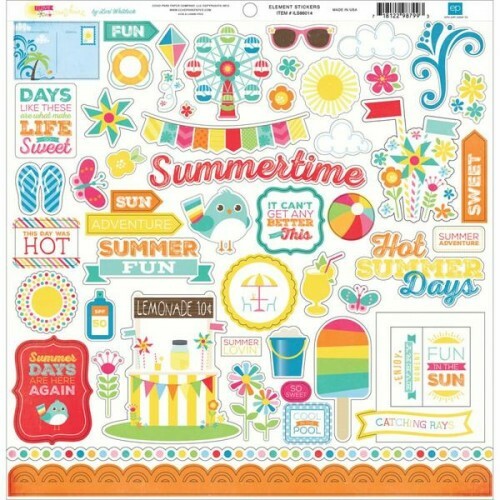 12 x 12 sheet of stickers, bright and fun with a Summer theme, all co-ordinate beautifully with the I Love Sunshine Alphabet sheet. Perfect for scrapbooking. 12 x 12 sheet of Alphabet stickers with words, borders and elements to co-ordinate with the I love S..